The “Starting with the Young” program involved teams of Adelaide secondary students governing fictitious countries that are in despair, with the goal of stabilising them within a virtual 12 years. The teams competed firstly against other teams within their school and then in a final between schools, at the Adelaide Town Hall in December 2012. 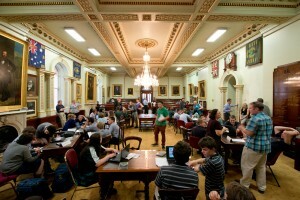 The teams needed to balance the conflicting demands of production, the environment, education, health, politics, quality of life and population growth using the simulation game Ecopolicy. According to Professor Ockie Bosch, Systems Design and Complexity Management at the Business School, the competition is an important initial step in changing the mindset of the next generation, from using traditional linear thinking to instead thinking in systems to solve complex issues. 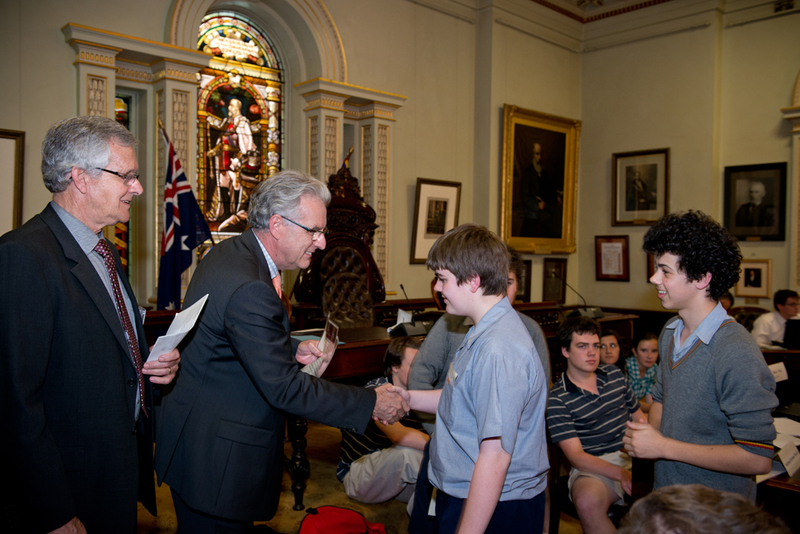 A student team from Saint Ignatius’ College won on the day and will travel to Vietnam in July this year, representing Australia to compete in the International Ecopolicyade against teams from around the world. This entry was posted in Research, Systems Design and Complexity Management and tagged Adelaide Business School, business consulting, Business School, competition, digital media, Professional development, University of Adelaide. Bookmark the permalink.